At left is a helium spectral tube excited by means of a 5000 volt transformer. 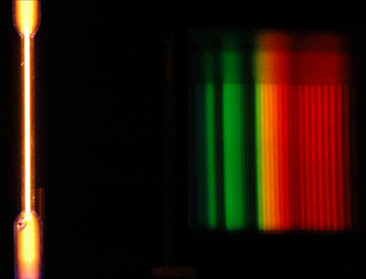 At the right of the image are the spectral lines through a 600 line/mm diffraction grating. 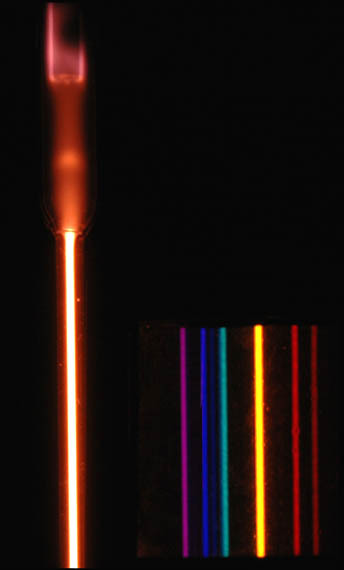 The nitrogen spectrum shown above shows distinct bands throughout the visible range. The blue lines in the above were brightened for greater visibility in the image.